“Eat Breakfast like a King, Lunch like a Prince and Dinner like a Poor man”. Breakfast literally means, “breaking the fast” since it’s the first meal you eat after sleeping, and therefore fasting all night. Today because of the nuclear family and complexity of work, most of the youngsters, young couples tend to skip breakfast, which is harmful to health. 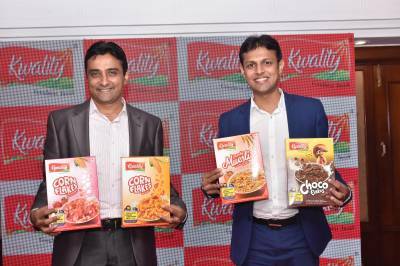 Kwality foods are taking initiative of inculcating the habit of having breakfast through launch of exciting cereals and their campaign.